We continue our series on the wines of Valencia with Castellón, the region just north of the city of Valencia. Despite Castellón’s long and interesting history of wine production, it is now only an “upcoming wine region”, but one with some interesting wines worth trying. Castellón is not (yet) a full DOP (Denominación de Origen Protegida) but an IGP, an Indicación Geográfica Protegida (Protected Geographical Indicator), producing so-called “Vinos de la Tierra”. An IGP is similar to a DOP in guaranteeing the origin and quality of a product, but is less strict about origin and type of grapes used. It is meant to be a phase before becoming a DOP, and in fact, the Consejo Regulador of Castellón is only waiting for the necessary approval from Brussels to become a DOP. Castellón has a long and interesting history of wine making. Wine production in Castellón had probably started with the Phoenicians and Greeks, many centuries B.C. From the 16th to early 20th century, Castellón produced a famous red wine, the “Vino Carlón” (originally from the region of Benicarló), which was exported all over the world. It was a very strong wine, which was used in northern Europe to mix with the local wines, to give them more colour, alcohol and body. In the South American colonies (where producing wine was apparently forbidden for a long time), the Vino Carlón was mixed with water, ice or soda water, to make it drinkable. But this was for the lower classes – people with money drank better quality Spanish wines. 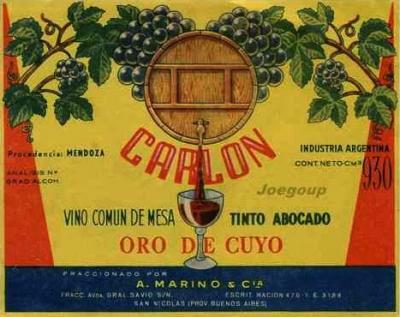 The Vino Carlón disappeared in the early 20th century, due to increased wine production in South America, an increasingly lower quality of the Vino Carlón itself, and the Phylloxera plague, which destroyed the European vineyards. Around 1930 there were no more vineyards left in the Castellón region. In the 1940s new vineyards were planted in the region, but not only with American rootstocks; around 60% of the vines were actually hybrids. But these Vitis Hibridis, it was claimed, produced bad quality, and even toxic, wine. In 1970 the Spanish government decided that hybrids could no longer be used to make wine – only the Vitis Vinifera (the ‘normal’ European grape varieties). Most grape growers in Castellón opted for replacing their vines with olive and almond trees and by the mid-1980s most vineyards had disappeared from the region. Only a few wineries continued to exist, until in the early 2000s new vineyards were planted by a younger generation of winemakers. Currently there are around 20 wineries in Castellón, with some 250 hectares of vineyards, mostly small plots and spread out over three sub-regions: Alto Palancia / Alto Mijares (around Segorbe), Les Useres / Villafamés (into the interior from the city of Castellón) and further to the north, Sant Mateu, the highest part of the province (up to 1300 meters). Though all three sub-regions produce both red and white wines, the most widely planted grapes are Tempranillo (almost 50%) and Cabernet Sauvignon (almost 15%), while the white grapes are a clear minority with Macabeo (9%) and some Merseguera (2.5%). Most rain falls in spring, providing enough moisture for the vines to get through the hot summer. This is also helped by the occasional shower in the summer months, making life relatively easy for the vines; most vineyards are therefore without irrigation systems. In general, Castellón produces young and medium-aged (10-12 months oak aged) wines, but there is of course a wide variety of different wines. The vineyards of the Les Useres / Villafamés sub-region are found at altitudes between 3-400 meters above sea level, and it’s the warmest part of Castellón – ideal for the Moscatel grape, though it´s not (no longer?) produced in large quantities here. This sub-region produces some well-known wines such as Clos d’Esgarracordes and the Magnanimvs series, but the Clotás wines of Bodega Vicente Flors are worth trying. There are also some interesting wines, like the 33 Route wines of Bodega Les Useres, made with the indigenous Bonicaire grape, or the intense and concentrated Terres Calisses wines, made by a new winery, Barranc dels Cirers, and in my opinion among the best wines from Castellón, unfortunately with a very small production: there are only around 1000 bottles of the Terres Calisses Gran Selecció! The Alto Palancia/Alto Mijares sub-region, with altitudes between 400 and 800 meters, produces mainly fruity wines. Here we find wineries like Divinos & Viñas with wines like La Perdición and Odisea, which are relatively easy to find in Valencia. Very good organic wine comes from Bodega Alcovi in Almedijar: they’re quite intense, like Señorio de Almedijar (mainly Cabernet Sauvignon), with powerful aromas of ripe fruits, spices and minerals – a must try! Sant Mateu is the northernmost sub-region in Castellón, with most vineyards at 200-400 meters altitudes. 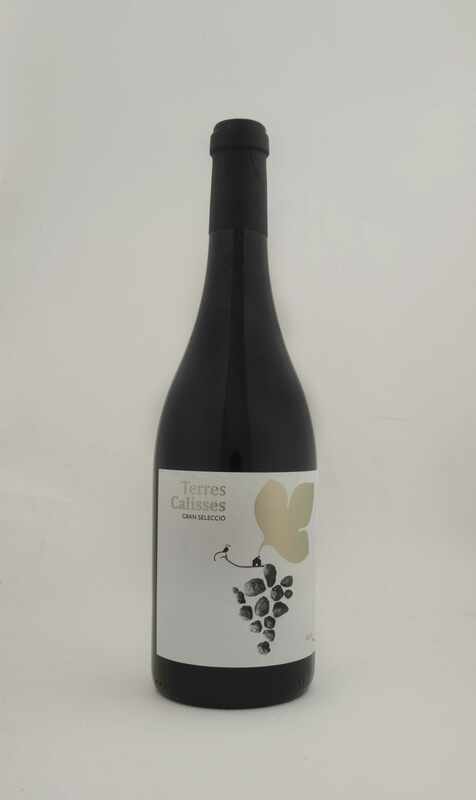 There are actually few wineries in this region, but an interesting project is the attempt by Bodegas Besalduch & Valls to remake the Vino Carlón, which sells at around 35€ per bottle. Using the old recipes, they add raisins to increase the alcohol percentage – it’s potent, a bit tannic and astringent, and slightly sweet. Interesting to taste what our ancestors used to drink… A revived winery in Canet lo Roig, under a new name, La Canetana, is expected to release its first wines this or next year – something to look forward to. As wine making is relatively “young” in Castellón, it is certainly interesting to see how it will develop, and how the Castellón wines will change and evolve over time, as the vineyards get older and produce more complex wines. We’ll keep you informed! Valencia wine experts – for your wine tours & tastings, and other tours in and around Valencia.